Critical 47 is a hybrid Marijuana and a standard in the hybridization process. 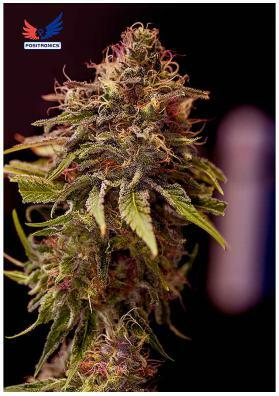 Is a hybrid of Critical Mass and AK47, being a perfect Skunk, very fast, high yielder, therapeutic and very powerful. Critical #47 is a hybrid Marijuana - in fact, a multiawarded standard in the hybridization process. Is a hybrid of Critical Mass and AK47, two of the sweetest cannabis strains on the market. In this way, this hybridization process has resulted in a pefect Skunk, very fast, high yielder, therapeutic and very powerful. The plant size is medium-high, typical of Indicas with a lot of branches, short internodal space between the stems with very thin and jagged leaves, capable of producing large amounts of cuttings. Nonetheless, what stands out in this specimen is its super fast flowering period and in the 3rd week of flowering you already know when it will be collected. For this reason, we recommend to prolong the growing period. One thing worth mentioning is that it will become yellow very fast upon a nutrient deficiency. Besides that and due to its intense smell released during flowering and its susceptibility to mold, we recommend to use a good ventilation system, mainly indoors - unless you like to attract the attention of your neighbours or the plant to gain mold. If you want to potentiate its flavor and aroma we suggest you to apply an organic farming. Its aroma is strong with mangos and peaches with vanilla undertones and its effect is relaxing leaving you in a meditative state of mind and capable to open your appetite! Therefore, it is also recognized for having some therapeutic value, especially to treat pain and stress. In only 50-55 days, you can get considerable productions of 400g per square meter in a growing room, and 500 grams per plant in the garden to be collected in late September.